Dave Douglas’s Dizzy Atmosphere boasts an impressive lineup of musicians, several of whom are bandleaders in their own rights. in advance of their Houston performance on April 12, we’re highlighting recordings by Douglas and this talented quintet who will be paying tribute to the legendary Dizzy Gillespie. But first let’s celebrate Dizzy Gillepie himself, circa 1970. “Manteca” is one of the earliest foundational tunes of Afro-Cuban jazz. Co-written by Dizzy Gillespie, Chano Pozo and Gil Fuller in 1947, it is among the most famous of Gillespie’s recordings. Notice Gillespie’s trademark balloon cheeks and the bell of the trumpet bent up at a 45-degree angle. One of Dave Douglas’s most interesting recent projects is High Risk, recorded with Jonathan Maron (Groove Collective), on electric and acoustic bass; Mark Guiliana (Mark Guiliana Space Heroes, Heernt) on electric and acoustic drums; and DJ, producer and beatmaker Shigeto (Ghostly International) on electronics. “The biggest element is this meeting of the worlds; an openness and willingness to put everything at risk. I wanted to create a situation where we really were at risk, we were on a high wire, where the exigencies of being in the moment and creating with your wits from one second to the next was what it was about,” said Douglas. This is a common theme for Douglas; the sense of daring in Dizzy Gillespie’s music is what drove Douglas to pay tribute to him. Drummer Joey Baron is an avant-garde jazz drummer perhaps best known for his work guitarist Bill Frisell and saxophonist John Zorn. His most recent recording is MixMONK, a collaboration with the Belgian musicians Bram De Looze on piano and Robin Verheyen on saxophone. Here they play Verheyen’s tune “Dance.” Note Joey Baron’s deft transition from drumsticks to brushes and mallets as the tempo and feel downshifts about halfway through the piece. Pianist Fabian Almazan has appeared on the Da Camera stage as a sideman with trumpeter Terence Blanchard’s E-Collective. Almazan’s most recent release as a leader is Alcanza, a nine-part suite performed by Almazan’s quartet with Camila Meza, voice and guitar; Linda May Han Oh, bass; and Henry Cole, drums, and a string quartet. Newcomer Carmen Rothwell makes her first appearance on the Da Camera stage. A Seattle native, the young bass player has already collaborated with saxophonists David Murray and Wally Shoup. She’s recorded with the trio Tyrant Lizard, with Raymond Larsen on trumpet and Gregg Belisle-Chi on guitar. 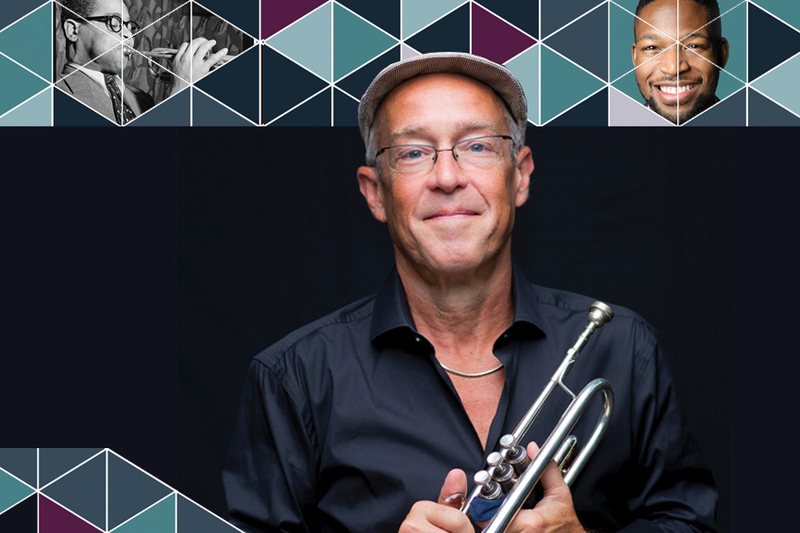 Dave Douglas’s Dizzy Atmosphere: Dizzy Gillespie at Zero Gravity performs April 12 at 8 pm in Wortham Theater Center’s Cullen Theater. Tickets start at $37.50 at are available at dacamera.com.